Dogs are welcome to stay in our Holiday Homes and Lodges. You are advised that there is a maximum of 2 dogs to any single Holiday Home, Lodge or Camping/Touring Pitch with an additional charge of £5 per dog, per night. Assistance Dogs can stay in our accommodation free of additional charge. Camping pitch bookings are based on 2 people sharing, additional people on the pitch (over 3 Years old) incur an additional charge of £5 per person, per night. 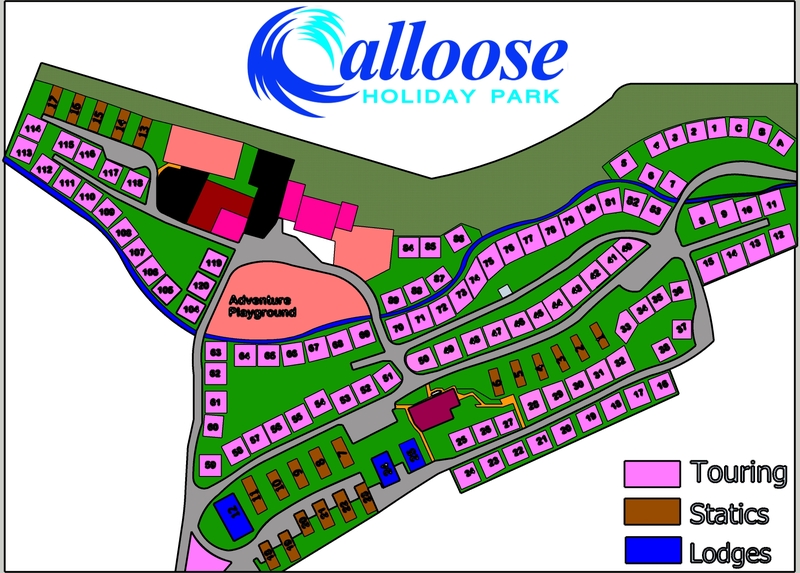 You are responsible for the security of your property whilst staying at Calloose Holiday Park, Calloose Holiday Park does not accept liability for any damaged or missing items. If you leave something on site, please let us know as soon as practical and, if we have it, we’ll return it to you, depending on the size and weight item there may be an additional charge for P&P. Whilst we endeavor to ensure that all information on this website is up to date, occasionally things change, in these rare instances we cannot be held responsible for small errors. Photographs are for guidance only and accommodation may vary slightly between different holiday homes and pitches. The swimming pool at Calloose Holiday Park does not have an on-duty lifeguard. Children using the pool should be supervised at all times. Not all accommodation at Calloose is suitable for the disabled. If any of your party has any a disability, please contact us to discuss your options. In the case of a significant error in pricing, Calloose Holiday Park may change this retrospectively, in any such instance you’ll be given the opportunity to cancel your holiday or accept the correct price. In order to secure your holiday home, you must pay a non-refundable deposit. Holiday bookings that are cancelled within 56 days of arrival will be charged in full, although, at the discretion of the management we may be able to make amendments to bookings subject to availability. Please contact us if this applies to you.